Back in January, I wrote about the effects the European Central Bank’s quantitative easing (QE) programme will have on beer. The Euro exchange rate has, for want of a better word, tanked. We’re on course for parity against the US dollar and sterling is strong and only getting stronger. This could bad news for imports of US and UK craft beer into the Eurozone but great news for Irish breweries exporting or looking to export. 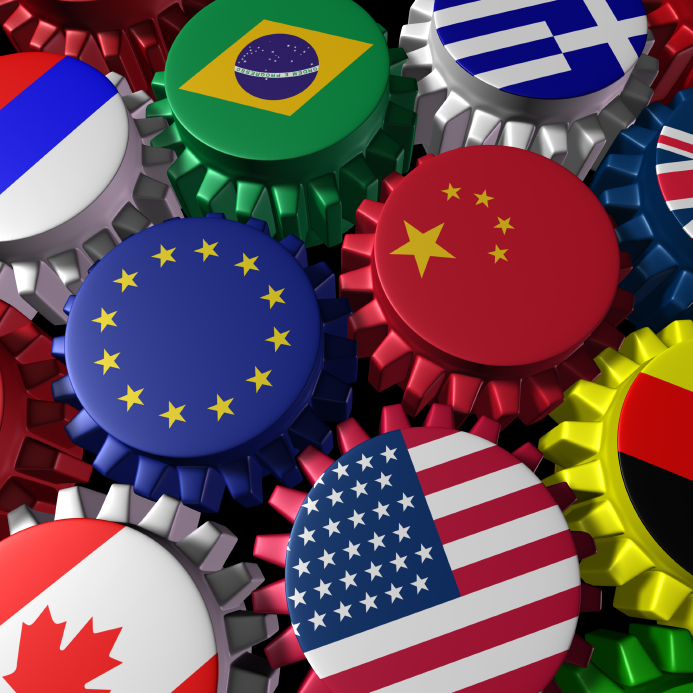 Exports of Irish beers could be boosted further by positive indicators within the Eurozone. Consumer sentiment for March 2015 is at its highest levels since 2007. Confidence has been boosted by the QE programme combined with falling unemployment and low oil prices. What does this mean? Quite simply private consumption is expected to rise by 2% this year and 1.5% in 2016 (source: Capital Economics). People will socialise with confidence and in economic terms this could involve boosts to nondurable goods (e.g. off licences) and services (e.g. bars, restaurants etc). This would underpin economic recovery within the Eurozone but sadly it’s one that will not be felt equally across all countries/regions. So Irish breweries can benefit from the weak Euro currency to export to the US, UK and further afield and they can take advantage of the recovering consumer demand in the Eurozone. Irish exports would not only match quality but they could also be competitive alongside US and UK products exported to these markets. The costs associated with small batch exports may be offset by the strong dollar and sterling. 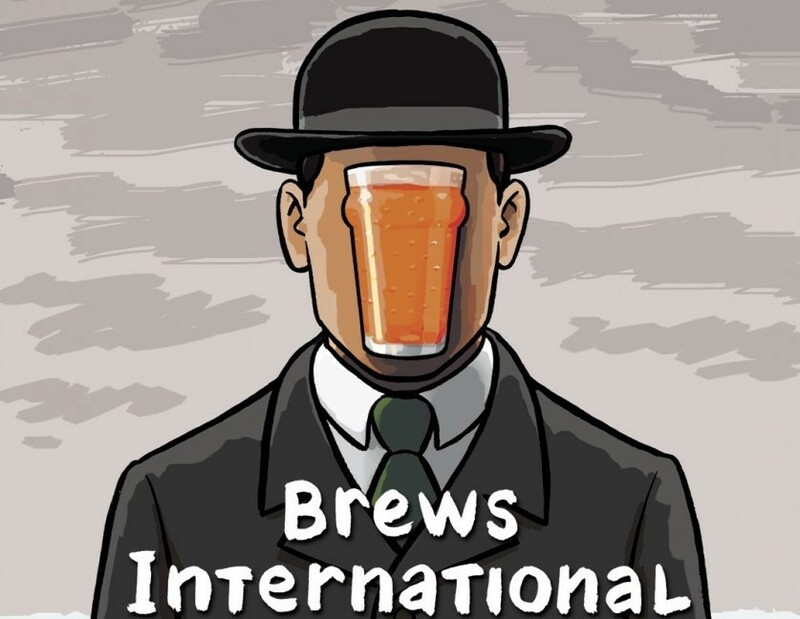 It is timely then that two significant events took place last week that hopefully will result in Irish breweries delivering on their export potential. Bord Bia’s Marketplace International 2015 saw 150+ Irish food and drink companies having access to 400+ buyers from over 25 countries. They could showcase their offerings in a sort of speed-dating format (i.e. a series of 20 minute one-on-one meetings). 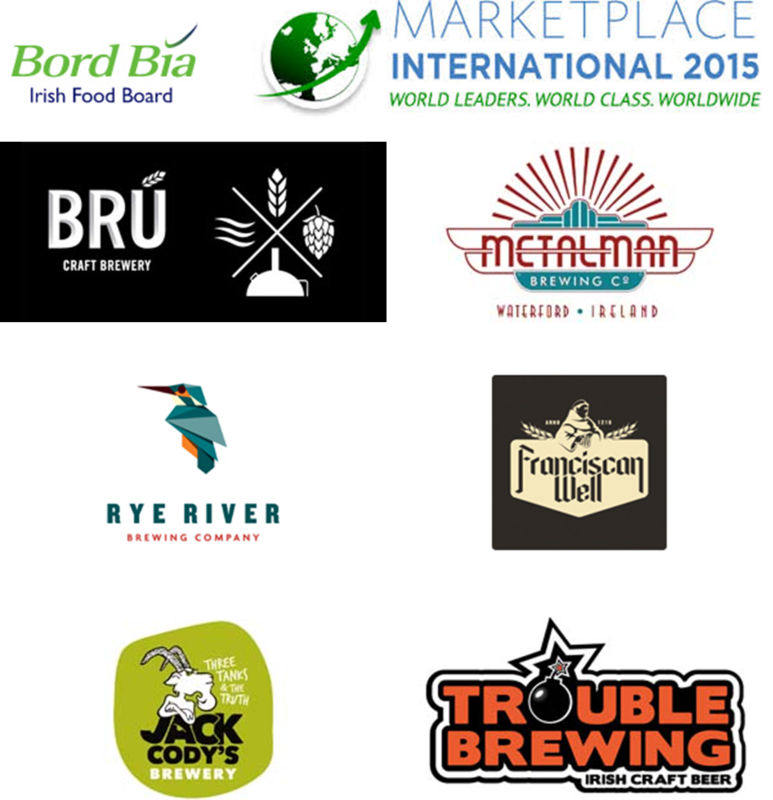 It was great to see Brú Brewery, Jack Cody’s, Metalman, Rye River and Trouble Brewing involved. Franciscan Well was also there as Bord Bia promotes all food and beverage products produced in Ireland. By and large each of the breweries have limited exports to date (e.g. average 5% of total sales) with the exception of Rye River reporting 40% export sales. The other event was IFE 2015, a biannual food and drink event held in London. It brings together approximately 27,000 buyers and suppliers of food & drink products and takes over the entire Excel Arena in London. I worked at this event in 2005 and the scale is simply staggering. 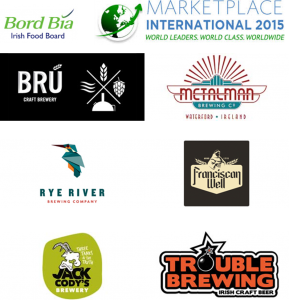 Whilst there was no Irish brewery exhibiting this year, the event is extremely useful for networking in the trade and meeting potential buyers and distributors. It was great to see the likes of Cotton Ball in Cork making it over to the expo. Hopefully events such as these can help these breweries and the others in Ireland take advantage of the extremely favourable export conditions. Irish breweries should be confident that they can follow in the footsteps of Carlow, the Porterhouse, Eight Degrees, Rye River and White Hag in having a significant export strategy. They should also aim to build on one-off or limited exports if it’s in keeping with their own business strategies. Isn’t it great to see the likes of Kelly’s Mountain on sale in Russia? Scale’s obviously going to be an issue but improved market access can help attract additional finance. They may need ongoing help from Government agencies and the sector could benefit from more hands-on support from Enterprise Ireland. If negotiations on the Trans-Atlantic Trade and Investment Partnership (TTIP) are concluded, Irish SMEs are expected to benefit most from the new EU-US trade deal. This is some time off however and while it would make it easier to do general business in the US, the peculiar post-prohibition regulatory regime will remain in place. This is not to forget that the market is still growing at home and the weak Euro may have a positive knock-on effect on consumer demand for Irish produced beers over UK and US imports. So far their prices have been steady but for how long can Irish distributors keep them steady? It will be interesting to watch effect, if any, does the exchange rates have on Wetherspoons’ prices as well.